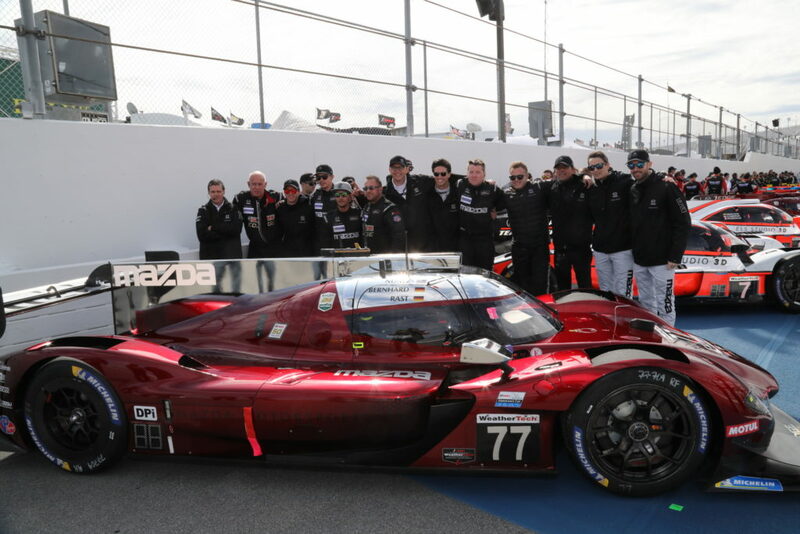 Official team of Mazda USA, “Mazda Team Joest,” competed in the opening game of the IMSA WeatherTec SportsCar Championship, the “57th Rolex 24 at Daytona,” starting the race from pole position and 4th on the grid. 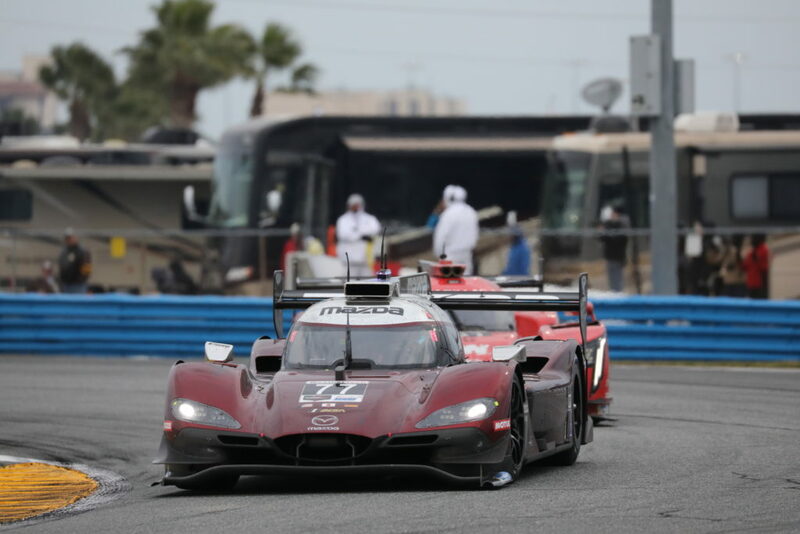 However, in the opening stages the #77 Mazda RT24-P, which was leading the race, incurred a turbo problem after 7 hours had passed and the #55 was also forced to retire due to accidental damage at 4:00 am. 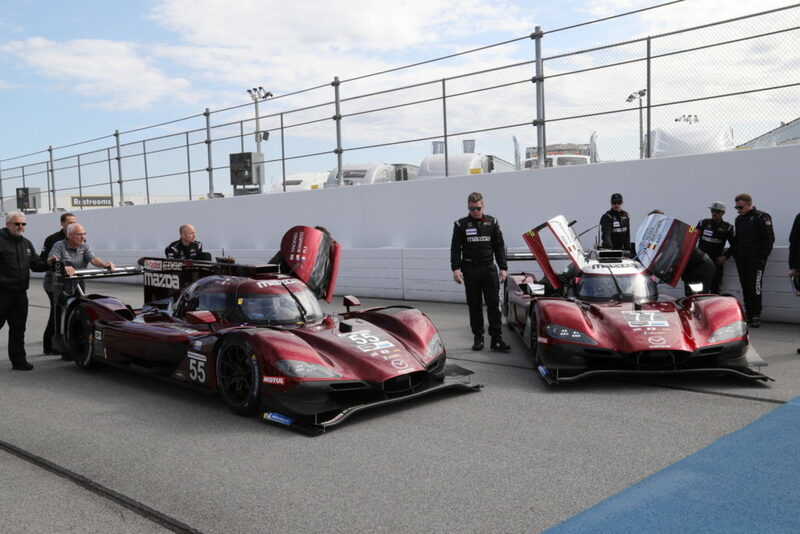 Although Mazda Team Joest had garnered a lot of attention through rewriting the official Daytona Speedway course record for the first time in 26 years in the official qualifying, overall victory slipped out of their grasp. 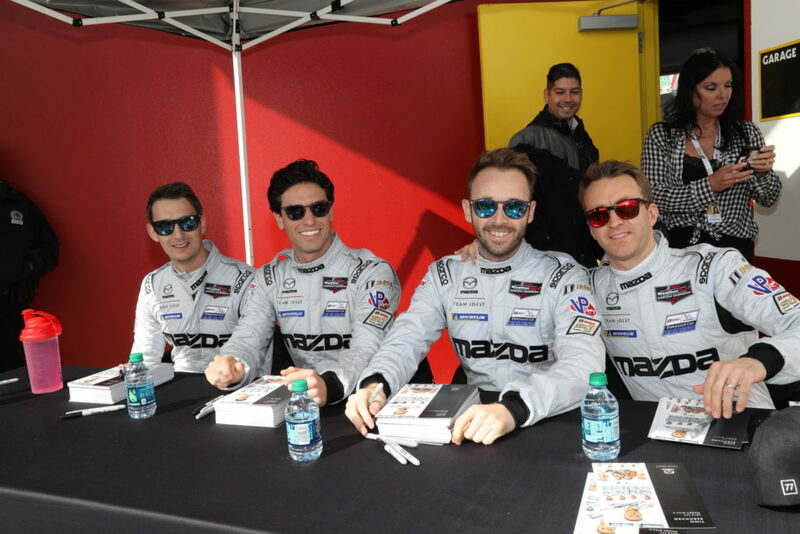 The 24-hour race started on Saturday, January 26th at 2:35 pm. 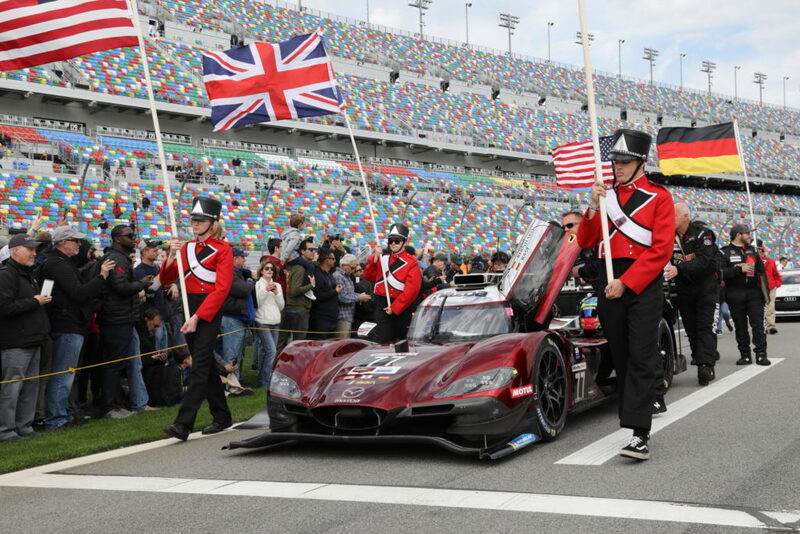 Oliver Jarvis started from pole position in the #77, leading the opening section. 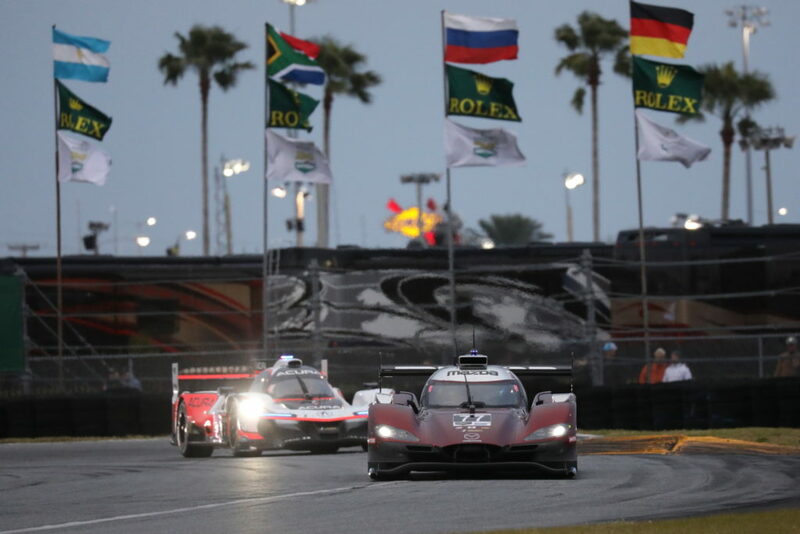 After that, he got embroiled in traffic and fell back to 3rd place, but Jarvis boldly took on the race leaders and, after several full course cautions Rene Rast returned to the top spot in hour 3. 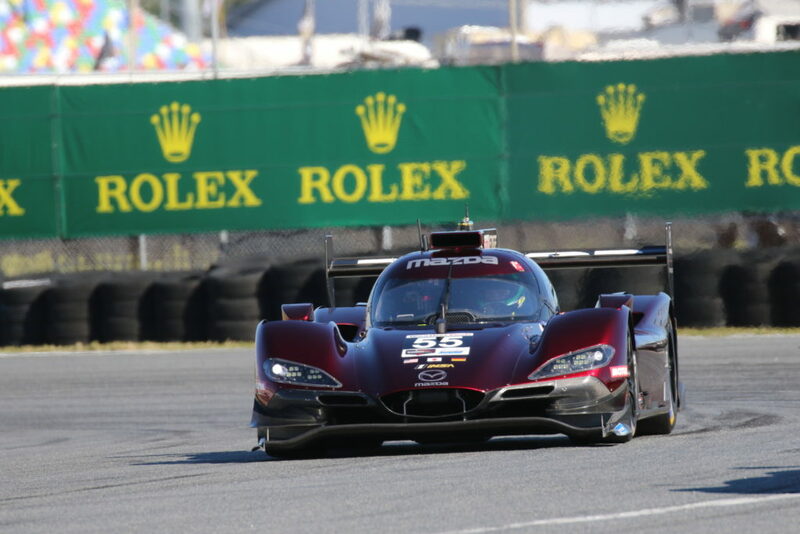 After that, their positions fluctuated due to pit timing, but after changing to Tristan Nunez, he completed several laps to be within a few seconds from the top runner. 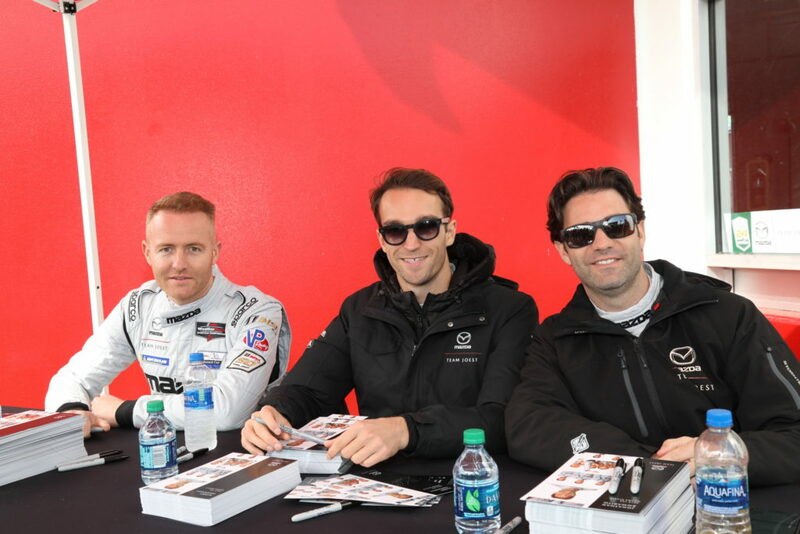 However, after a quarter of the race had passed, Timo Bernhard stopped on the side of the course. 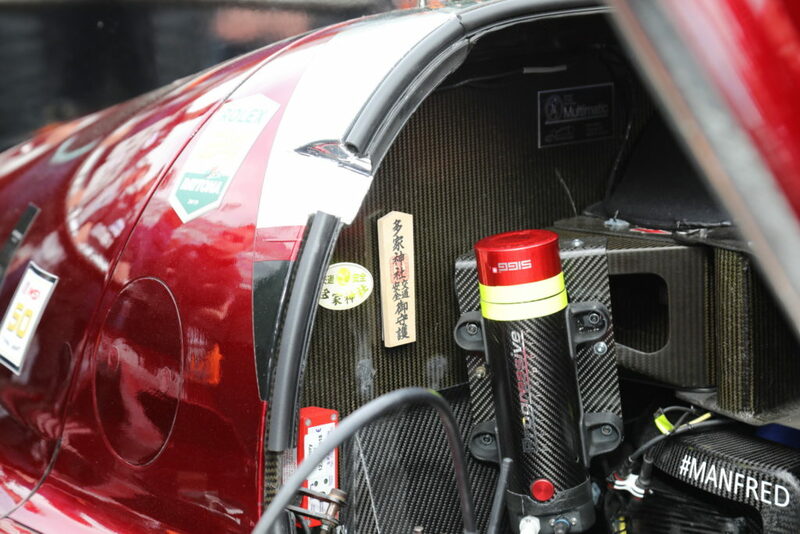 He was towed back to the garage, where after an inspection the team discovered a turbo problem and judged that it would be impossible to continue the race. 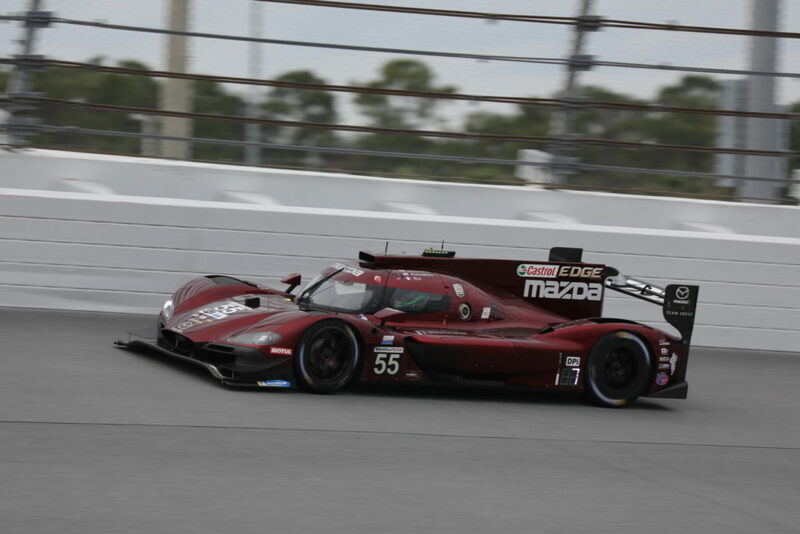 The #55, driven by Jonathan Bomarito, met with many calamities, spinning dut to contact with a GT machine in the in-field, the being hit by a DPi car. 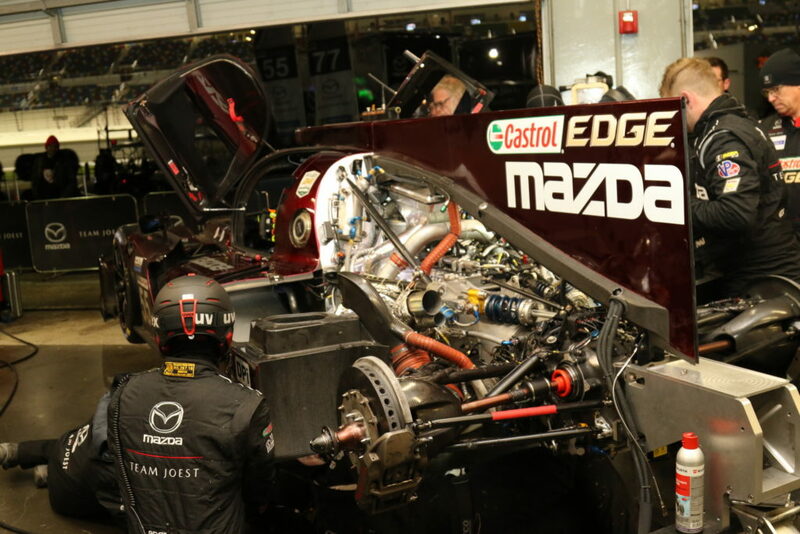 Just before the #77 stopped, it suffered A fuel leak and had to be repaired in the garage. It fell back 3 laps but when it returned to the course in 7th place it chased down the top runners with a high pace. 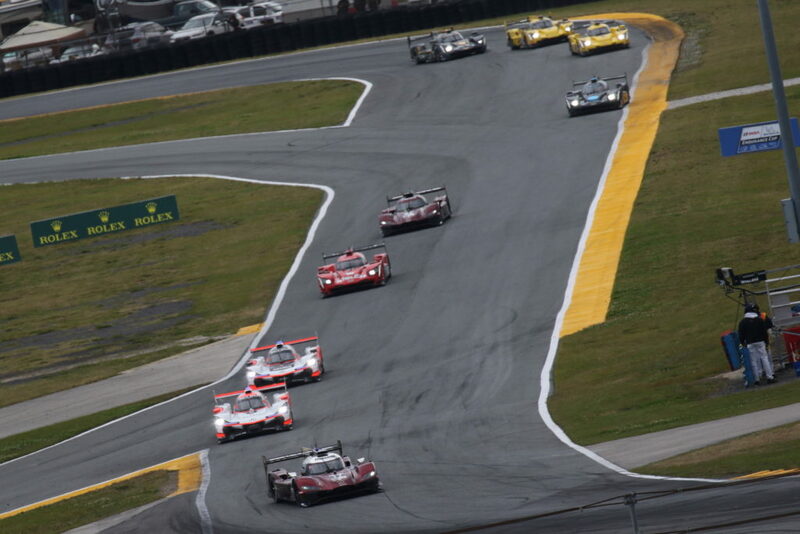 Harry Tincknell passed the #85 Cadillac around 1am and moved up to 6th, then changed to Bomarito after pitting in. 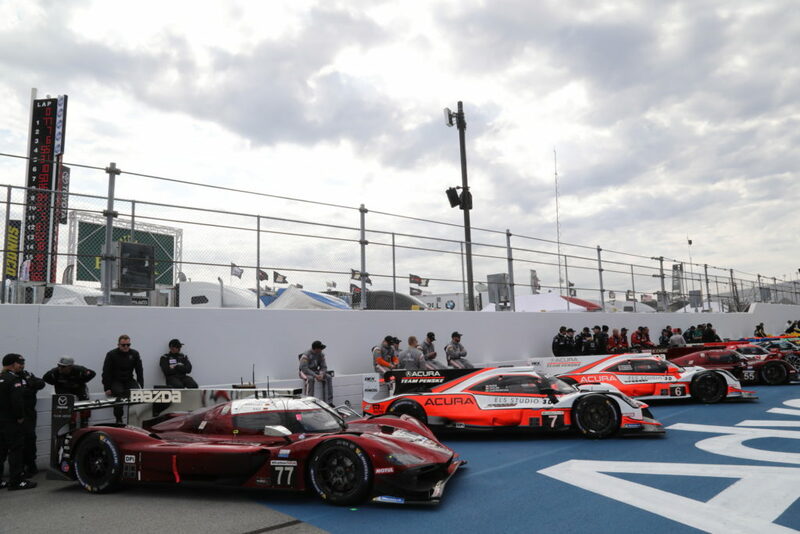 At this time it surpassed the Nissan DPi and climbed further to 5th place. Furthermore, it slowly closed the difference with the lead group to around 1 lap and about 30 seconds. Later Olivier Pla drove the car early in the morning stint at a fast 1 to 3 seconds faster than the top car, but suddenly stopped on the course with a contact incident around 4am. The machine was towed back to the garage where it was discovered that the damage received at the rear had spread beyond the expected range, and they were forced to retire.